Dan Brown – Inferno | Sleep Late Tomorrow! I refuse to pan Dan Brown along with all the other critics. Yes- his latest novel, “Inferno” is predictable, Yes -it is tedious in its style, Yes – there are times when you wish Robert Langdon would just drop dead, Yes – the villains are stereotypically deranged, and yet, there is one thing Mr. Brown accomplishes with legendary panache- He manages to write a comprehensive art & travel guide in the guise of a fiction novel and convinces us to generously donate to the Dan Brown travel fund. Western Europe is a tremendous play ground – exotic locations, artistic as well as architectural master pieces, and if Mr. Brown is to be believed, beautiful women willing to run away with you at the slightest provocation. When a cow’s that good, you’ve got to milk it. Well.. until supplies last at least. 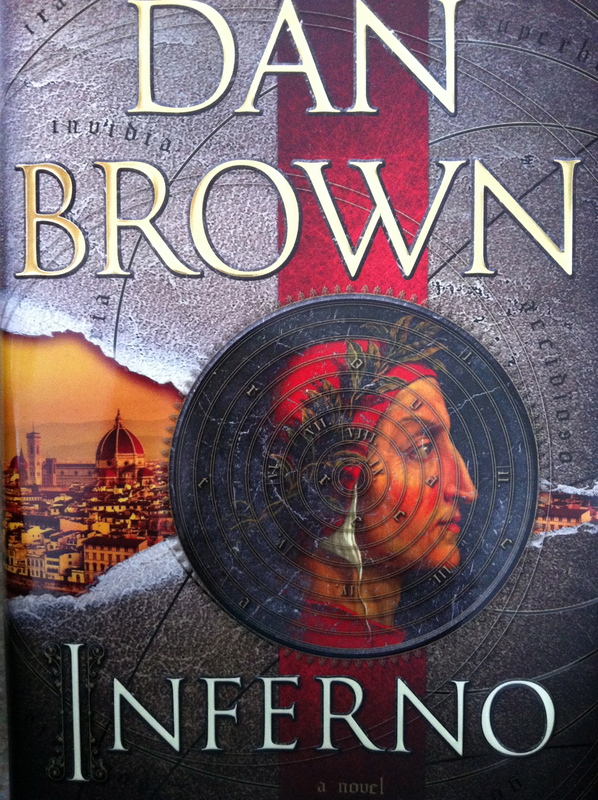 “Inferno”, in archetypal Dan Brown style, revolves around one major work of art – In this case, Dante Alighieri’s “The Divine Comedy”. Our hero..sort of..is Harvard professor, Robert Langdon, who is involved in a high profile pursuit of our mentally unhinged European baddie, as every Harvard professor is, at some point during his or her career. Accompanied of course, by an attractive woman- intellectually, physically, emotionally, and symbolically compatible with an academic, in a tweed jacket. Several high profile organizations are involved, all obsessively connected by Dante’s supremely precise roadmap of hell. Forced twists and turns half way through the book, make its pace sluggish, and you wouldn’t miss much if you skipped a few pages here and there. However, being little miss sunshine, I choose to appreciate the in depth information about Florentine art, architecture, secret passages, famous personalities, even coffee shop and breakfast foods, bestowed upon the reader. You even have the chance to hurriedly traverse across Venice as well as Istanbul, albeit, with far less attention to detail. Just when you think you’ve had enough, Bonus! You are magnanimously presented with a ”Genetics for Dummies” crash course to wrap things up. I will say this though; Mr. Brown has mastered the art of mnemonics with flamboyant skill. Information that is boring to read in a travel or culinary guide is sublimely alluring when elucidated by an attractive couple on the hunt for a flipped out scientist, who happens to be a patron of the arts. To the untrained eye, it also lends a mystical quality to any city. 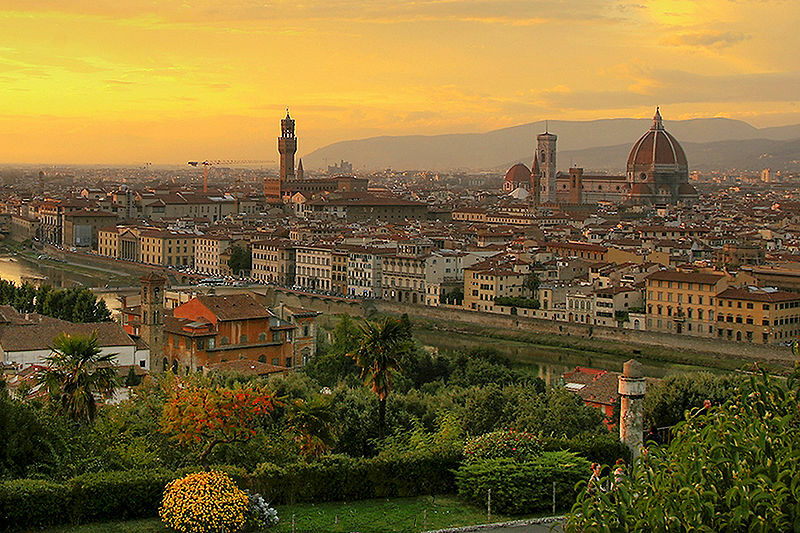 I have never been to Florence, but I know that when I do, I will remember a lot of the details from “Inferno”. Now, to imprint yourself in someone’s memory is a feat of its own, and we must applaud him for that. Signing off on a note that John Lennon now sure wishes he hadn’t borrowed, if you must read this book for the sake of continuity, try and ignore the meaningless and take away the other half that may just teach you something.